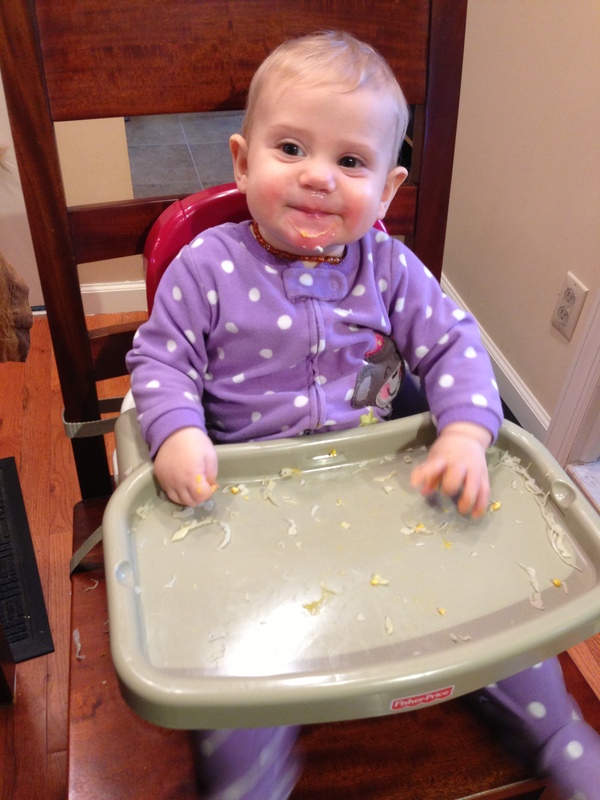 My little Olivia is nearly nine months old. O.M.G. She is such a joy. And a hand-full. That’s why you haven’t heard much from me since her birth. It really is true: once they start crawling, your world will never be the same again. But this is a post about Finger Foods. I don’t have much to say other than, it is possible. 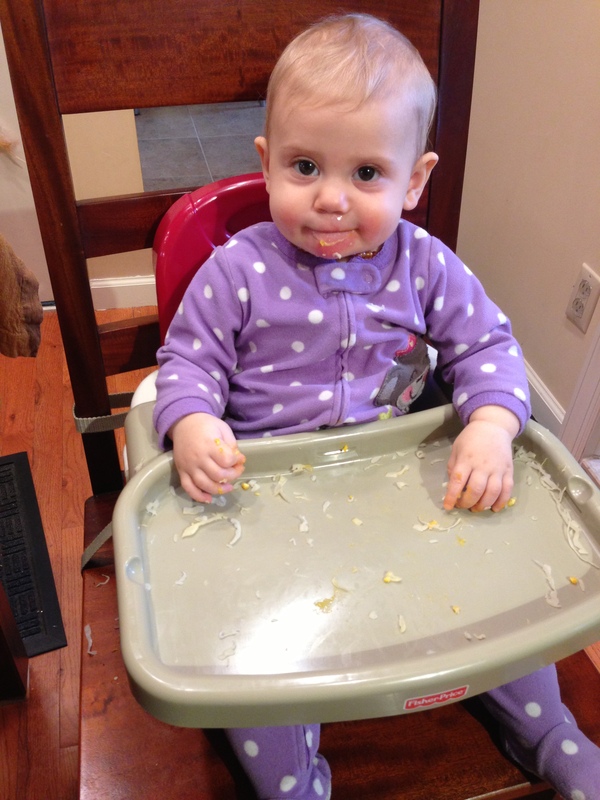 She’s nearly nine months old and she’s feeding herself egg and sauerkraut. Here are a few pics. Lunch for mama and baby! 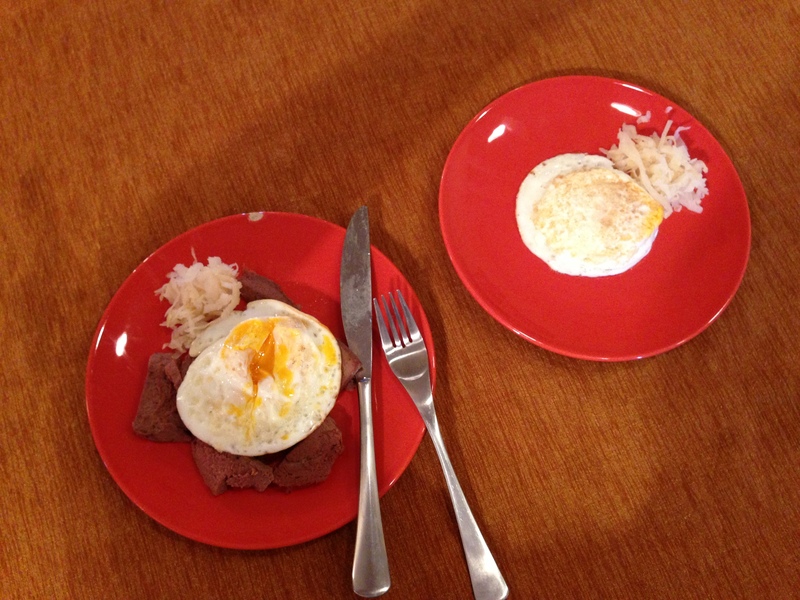 Pastured eggs and sauerkraut! Mama also has liverwurst. 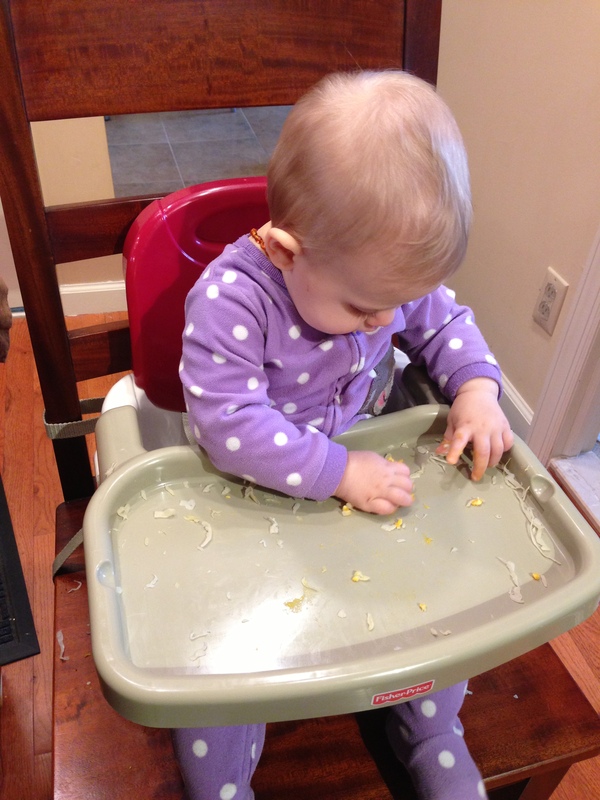 Olivia uses her Pincer Grasp! Olivia got her first cold this week. She just turned 8 months. I think that’s pretty good! Update: it was pretty mundane. A few sniffles. A mild cough. Nothing to write home about.